First off, I know the name of this product is completely ridiculous. 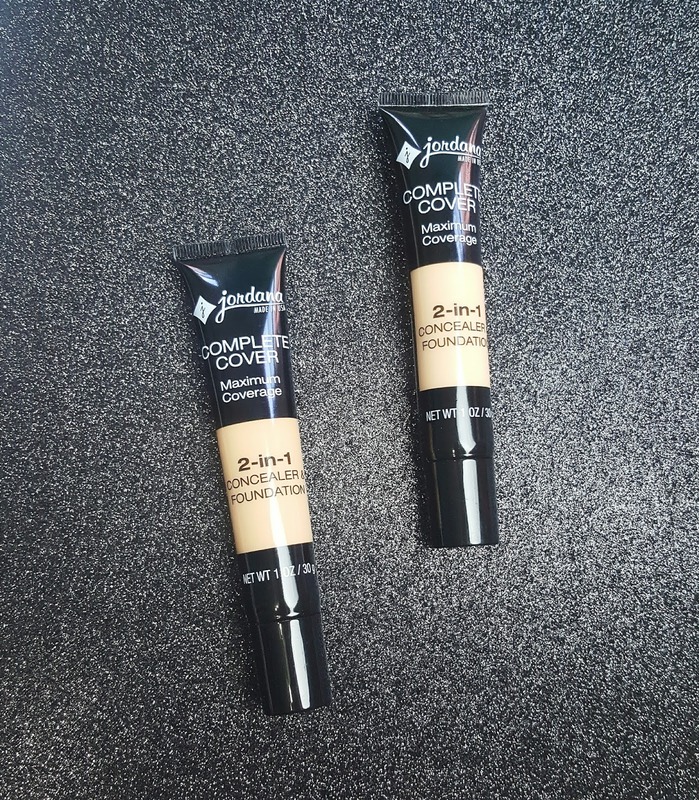 If the name got any longer, I would literally need to start abbreviating, so for the purpose of this review I'll be referring to this product as the Complete Cover Foundation, okay? Now that we got that out of the way, it's story time. Whenever I pass by a drugstore, I always have to stop in and check out the new makeup displays. It is such a bad, compulsive habit, but I like knowing all of the new beauty bits that are coming out. Well evidently this product is not new, but it was on a display in Walgreens as a repromote because the packaging was upgraded. 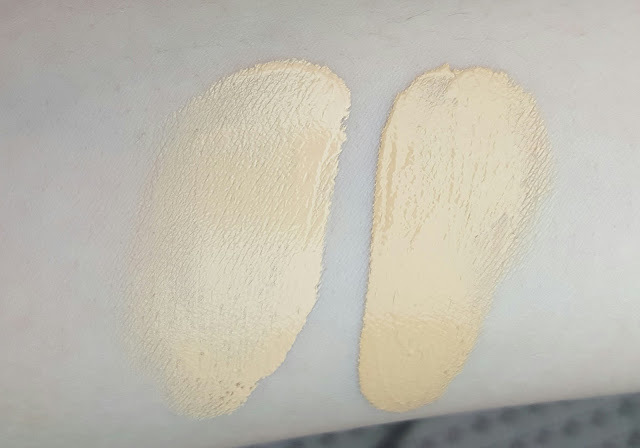 So after a tiny bit of research and seeing the amazing price tag, I picked up two shades of this foundation and that is what I have to show you guys today. The Jordana Complete Cover Foundation is a full coverage foundation in a squeeze tube packaging with a thick, yet liquidy consistency. It is marketed to double as a spot concealer and comes in a total of 12 shades. This foundation can be found at certain drugstores and beauty supply stores for $3.99. I picked mine up from Walgreens. Here are Jordana's claims: "Meet your secret weapon for making dark circles and spots look like they’ve vanished! 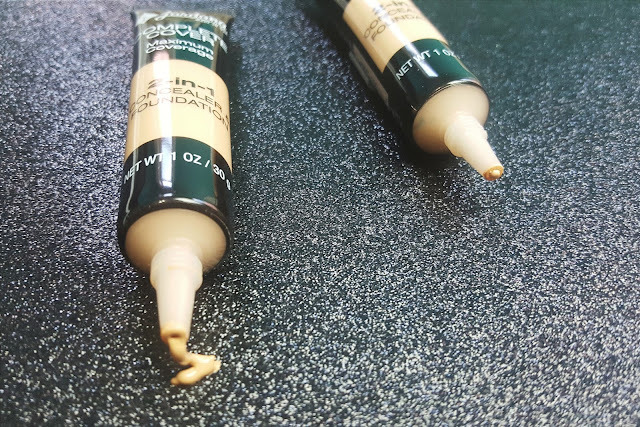 Complete Cover 2-in-1 Concealer & Foundation evens out skin tone when applied as an all-over foundation, and also works as a full coverage concealer—just dab onto trouble spots for a quick fix. Complete Cover 2-in-1 Concealer & Foundation = the ultimate in double duty beauty! Immediately after applying this to my skin, I noticed that this foundation has an extremely strong cosmetic chemical smell (it honestly made me nauseous). On top of that, it has an interesting texture that is just overall not my favorite. There is a thickness to it so when applied with a brush, you may risk streaks and cake-iness. I recommend using a damp sponge, but bare in mind that the sponge lessens the coverage a bit. However, you can always go back and spot conceal wherever you need it. I have to say that I found this foundation incredibly heavy on the skin, which is probably due to the beeswax and silicon ingredients found in it. Once applied, its finish reminded me quite a bit of Mac Studio Sculpt, so it will be a great dupe if that is one of your faves. Overall, I wouldn't recommend wearing it on a hot Summer day as it creased and caked up terribly at the corners of my nose within the first few hours. It may be a more suitable foundation for those needing a moisturizing Winter foundation with lots of coverage. While I don't hate the Jordana Complete Cover Foundation, I cannot truly recommend it as I myself wouldn't wear it. The price point is excellent, so it may be a good choice for beginners or even makeup artists who need to stock their kit on a budget. As I said before, if you love the Mac Sculpt Foundation, I think you'll absolutely love this one as well. It just doesn't make the cut for me due to the way it sits on my skin and the incredibly strong scent. At $3.99, however, it doesn't hurt to give it a try and see if it is your cup of tea. Other foundations that have similar consistencies, but worked better for me are the Dermablend Smooth Liquid Camo Foundation and the Urban Decay All Nighter Foundation. I agree with everything you've said one hundred percent. I thought I was the only one lol! 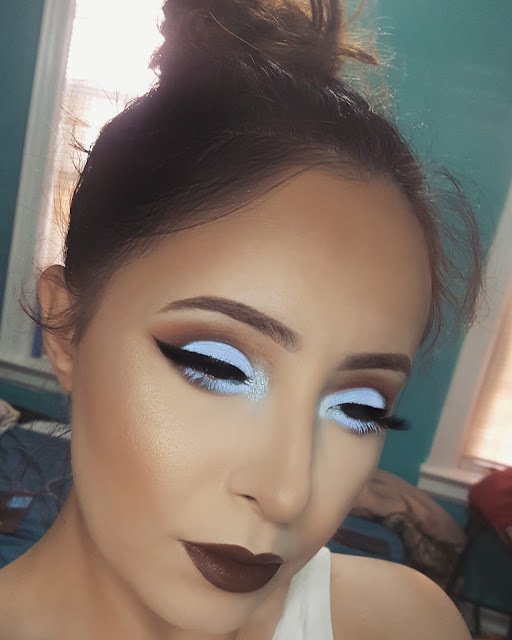 Can u review more products from Jordana! I'm in Africa and it's are so easy to access quality n original bottles of Jordana products in surprised! Sure! Do you have any specific products in mind?